A survey of the Chilcotin wild horse population is being planned by British Columbia’s Ministry of Forests, Lands, Natural Resources and Rural Development and the Tsilhqot’in National Government. An aerial count will be conducted covering more than 30,000 square kilometres. 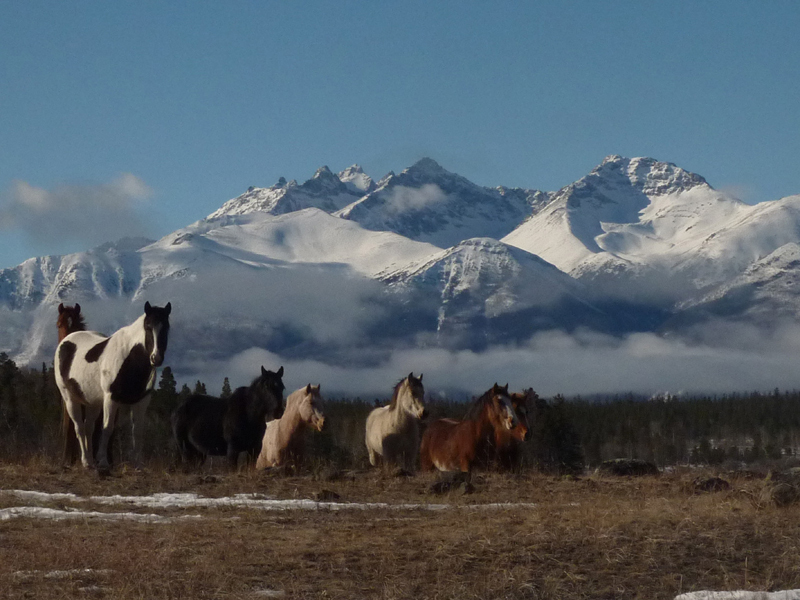 It is estimated that up to 1,000 free-roaming horses inhabit the Chilcotin. The last survey, in 2009, found approximately 800 horses spread across the search area. Surveyors will also collect data on horse location and herd size, as well as the proportion of adults and foals. The purpose of the survey is to help inform future land management decisions regarding wildlife and range use. There are particular concerns about the moose population in the same area. It is unknown whether there is competition for resources between the species at this time, however. Ranchers have also complained, historically, that free-roaming horses overgraze the same pastures their cattle run on. Independent biologist Wayne McCrory, who has studied the Chilcotin for 15 years, says it’s cattle, logging and hunting that have been to blame for diminished rangeland in the past. He fears the upcoming survey will lead to a cull of the horse population. According to McCrory, the last cull, in 2008, saw about 25 horses removed from the area, with some being sent for slaughter. Before that, in the late 1980s, culls reduced the horse population by 20 per cent. Until 1946, hundreds of horses were shot each year for a government bounty of $3 per mare and $5 per stallion. While this practice is no longer allowed, the horses still have no legal protection. Click here, for a comprehensive review of Canada’s wild hosre populations.